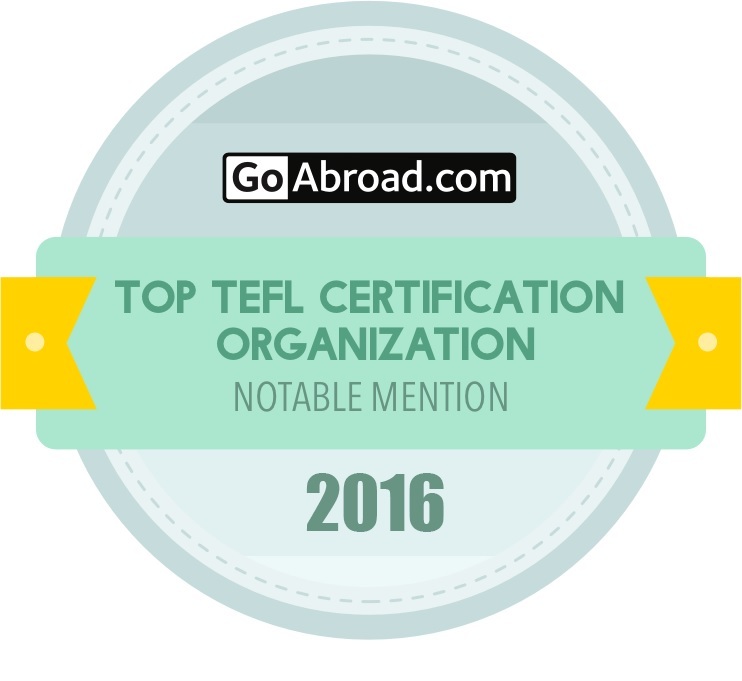 We are proud to announce that Oxford TEFL has been awarded a Notable Mention on GoAbroad’s list of Top Rated TEFL Certification Organizations of 2016 and our Barcelona Trinity CertTESOL program has been awarded a Notable Mention on GoAbroad’s list of Top Rated TEFL Certification Programs of 2016! We strive to create a positive, dynamic and supportive environment where our students, teachers and trainers can focus on their learning and teaching aims and enjoy the experience of achieving them. Thank you to all of our students, trainees, tutors and staff who have made 2016 such a positive and productive year. Your dedication to your training and learning makes Oxford TEFL not only one of the top ranked TEFL course providers but also ensures our courses are a meaningful experience for all those who join us. To participate, all you need to do is comment under the GoAbroad ‘Top TEFL Certification’ image which course you would like to take. A winner will be randomly chosen and announced on Friday February 10th 2017. Good luck! This entry was posted in Barcelona, News, TEFL, TESOL, Uncategorized by Fran Austin. Bookmark the permalink.